Chicago Police FURIOUS After State's Attorney Kim Foxx Drops Charges Against Hoaxer Jussie Smollett AND Judge Seals Case! Chicago Police FURIOUS After State’s Attorney Kim Foxx Drops Charges Against Hoaxer Jussie Smollett AND Judge Seals Case! Via the Sun-Times—– The actor, who was charged with 16 counts of disorderly conduct for allegedly hiring two men to attack him in a staged hate-crime attack near his Streeterville home in January, has reached a deferred prosecution deal with prosecutors that will wipe out the charges against him. 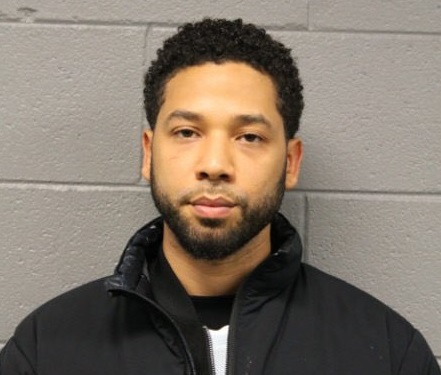 Smollett will forfeit the $10,000 he posted for bond. On Monday Smollett’s attorney Mark Geragos was linked to the Michael Avenatti criminal complaints. AND — Smollett and his attorneys are STICKING WITH THEIR LIES about the alleged attack! The Chicago Police are furious! State’s Attorney Kim Foxx originally recused herself from the case. She was going to the Oscar’s. But today her office dropped all 16 charges against SMollett. Update: Also the judge sealed the case! Chicago is a banana republic.